in What Are Your Favorite Public Places? Kites. Dogs. Runners. Swimmers. Trains. Bikes. Theater. Picnics. Kayakers. Lights. Live Music. 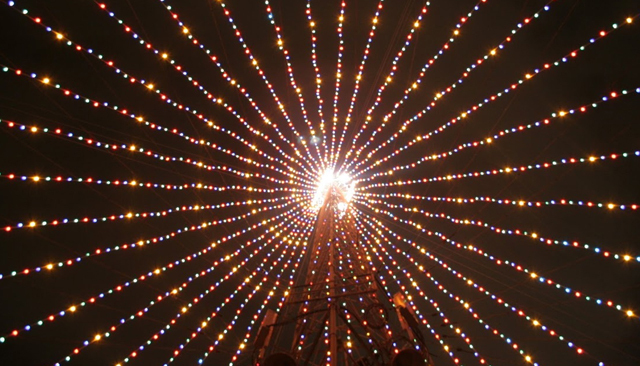 1) The Trail of Lights: This event marks the winter holiday season with a tree made out of streaming lights in combination with over a mile long trail decorated with colored lights. 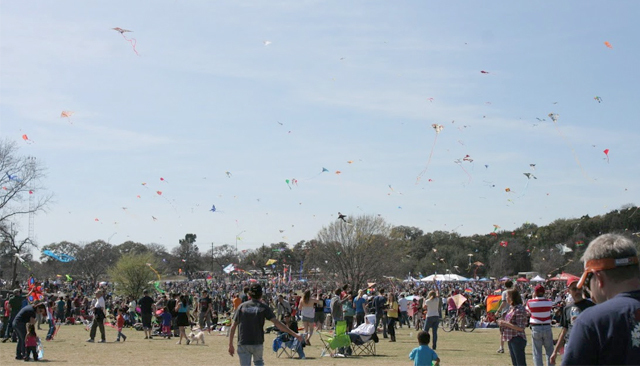 2) The Kite Festival: In the spring time the sky is adorned with thousands of kites for this annual festival held in March. 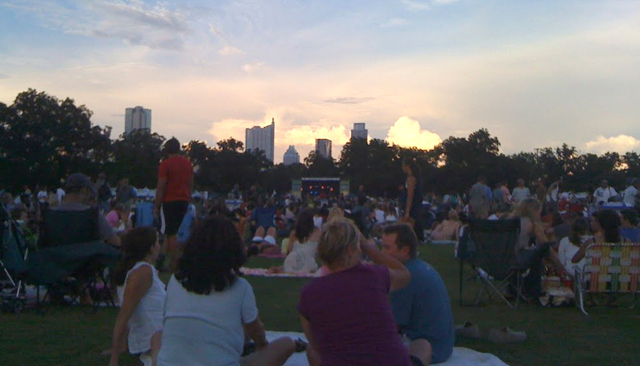 3) Blues on the Green: The summer brings the crowds in for an evening of music with this event as the sun sets, relieving its scorching heat from a typical Texan summer day. While I absolutely love lights, kites and live music, my favorite visits have been on days without huge crowds. On any given day, you can always spot families out enjoying the green open space, playing ball, or having a picnic. I have met many strangers joining me in flying my big blue shark kite or on a game of Frisbee. This is the hallmark of this public space which provides an opportunity to meet people who are not necessarily your direct neighbors but are still part of your larger community. 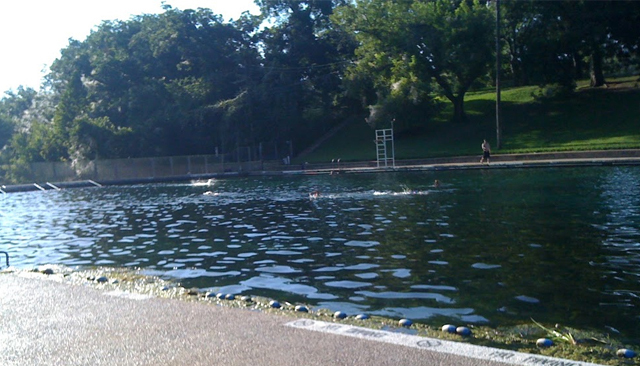 Finally, your visit to Zilker is not complete without a dip (or a couple of laps) in the Barton Springs Pool, filled with spring water and stays at a refreshing temperature of 68 degrees all year round. So if you ever find yourself in Austin without anything to do, head on over to this magical park where you might just make a new friend! This looks like an awesome place! But why does the pool look like a lake rather than a pool? Does it have sand on the bottom? I don’t think I’ve ever seen a public pool like that! Alexa- The pool looks more like a lake because it is actually part of the Barton Creek as it runs off from the Lady Bird Lake/Colorado River (it’s the blue rectangular structure in the first aerial image if you follow the water stemming from the lake) and the bottom of the pool has a lot of algae and plants and you can also spot some fish! Austin is filled with several swimming holes all around town that aren’t your typical neighborhood pool. One of my other favorites is Deep Eddy Pool which is also a freshwater pool. 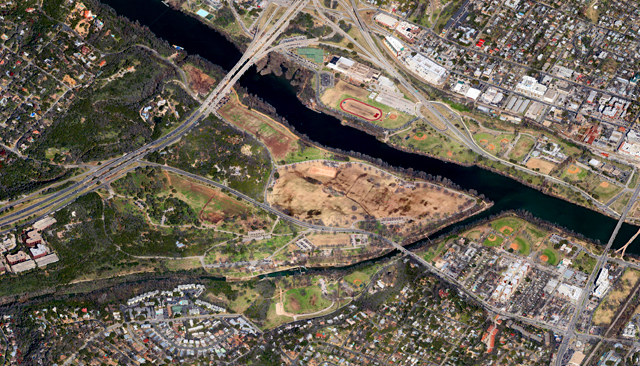 What I find especially interesting about this park is its proximity to a large highway. 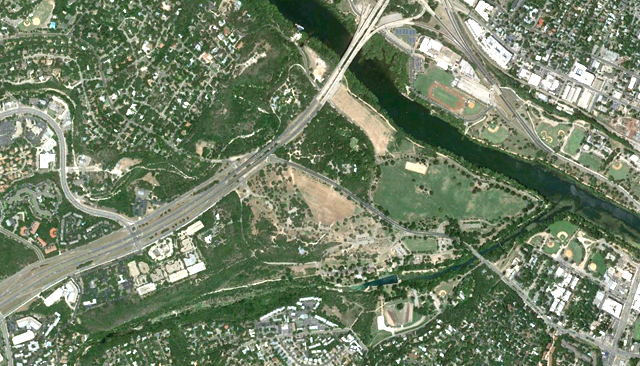 You can see from the satellite views that the large green area is split right in the middle by the expressway. 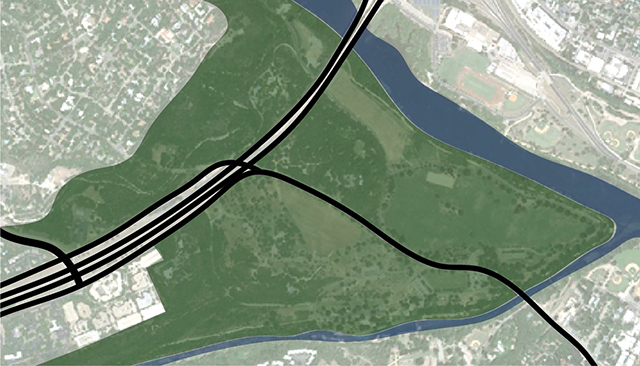 The park is also physically framed by the highway as well as the lake/river around it. From the photographs, you wouldn’t even be able to tell that it’s so close to a highway, which typically isn’t a good place to hang around.